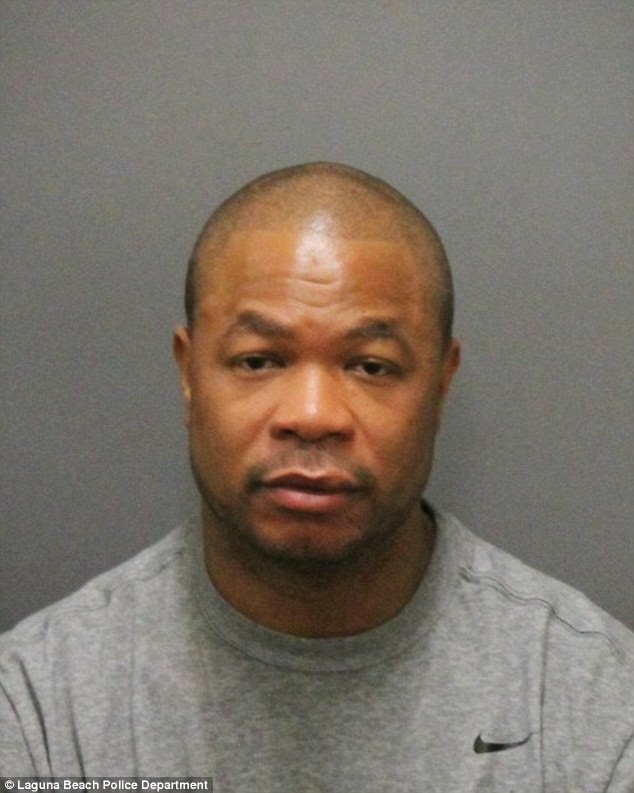 A wife is often jokingly referred to as a ball and chain, but Xzibit ended up wearing a matching set of handcuffs after his wedding day. 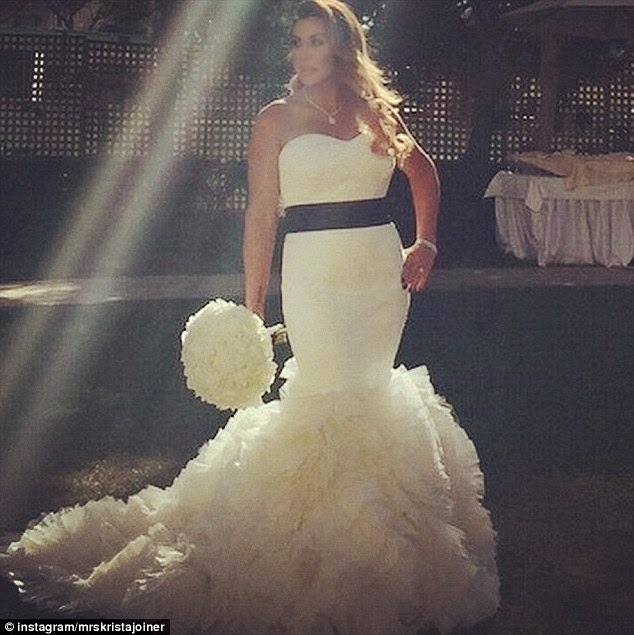 The 40-year-old was arrested in Laguna Beach, California, just before 12.30am on Sunday - only a few hours after he said 'I do'. Laguna beach LAPD told MailOnline that the rapper was driving in his Range Rover at a 'high rate of speed' along the highway and was pulled over. The Pimp My Ride host was booked on one misdemeanor count of DUI. The star then got to spend the rest of his wedding night in a holding cell at the Laguna Beach Police Department and was 'released later in the morning after a sobering period'. This is not the first time the MTV star has had some trouble with the law over his driving. An avid car racer, in 2007 while racing in the Netherlands in the Gumball 3000 rally, Dutch police seized his driver's licence for doing 160 km/h in a 100 km/h zone - he later claimed he confused kilometrss for miles. 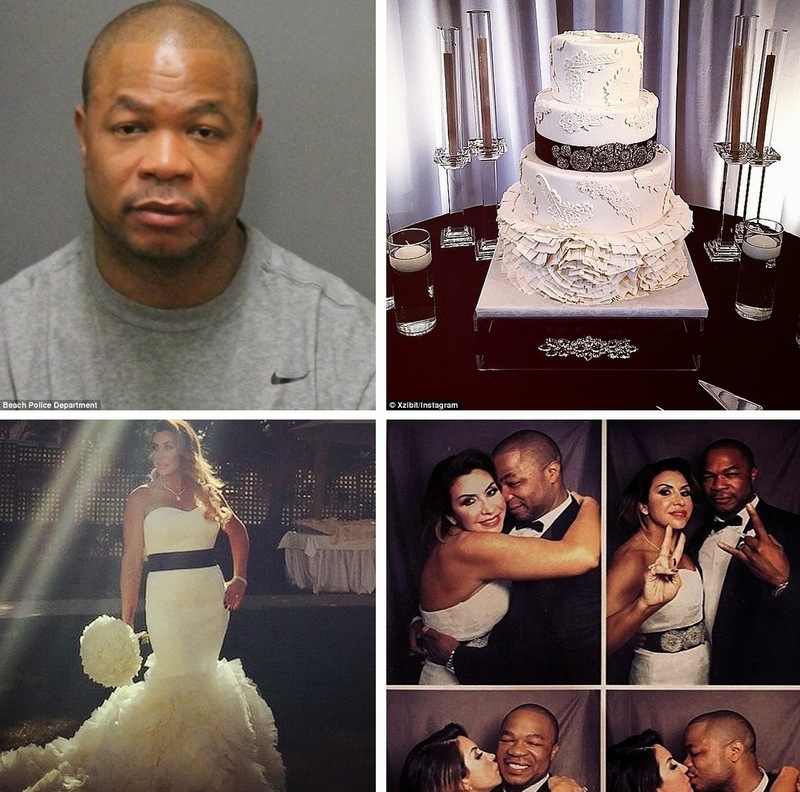 Regardless, Sunday's arrest was no doubt not the way the hip hop star - whose real name Alvin Joiner - expected to kick off his honeymoon with now wife Krista. 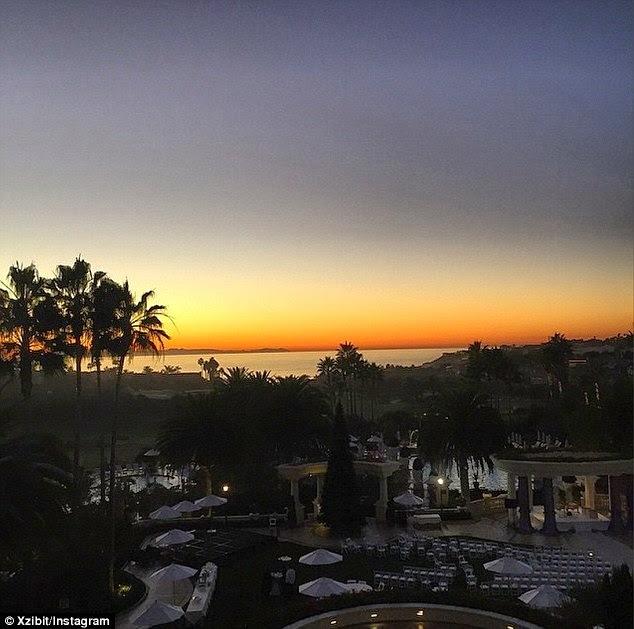 Just a day before the couple of over five years celebrated with friends and family at the St. Regis Monarch Beach. 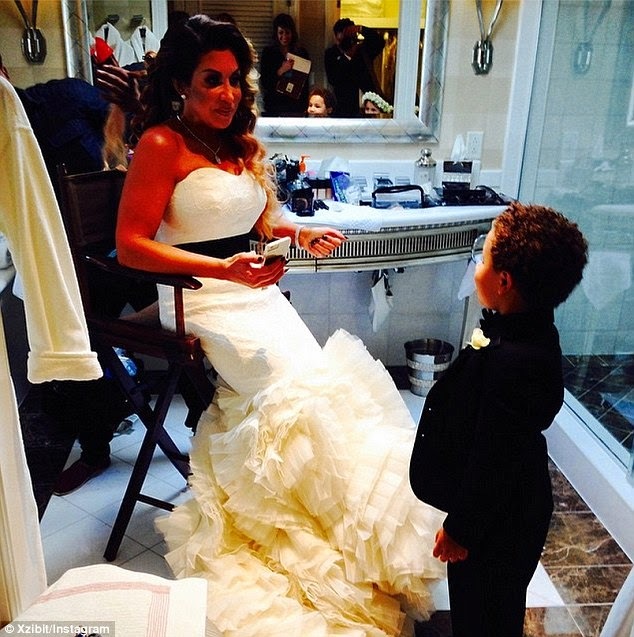 Xzibit's sons Tremayne - who is from a previous relationship - and Gatlyn formed part of the wedding party. For her walk down the aisle, Krista wore a mermaid staples gown featuring a sweetheart neckline, a voluminous textured skirt and train, black ribbon with brooch detail as a belt. 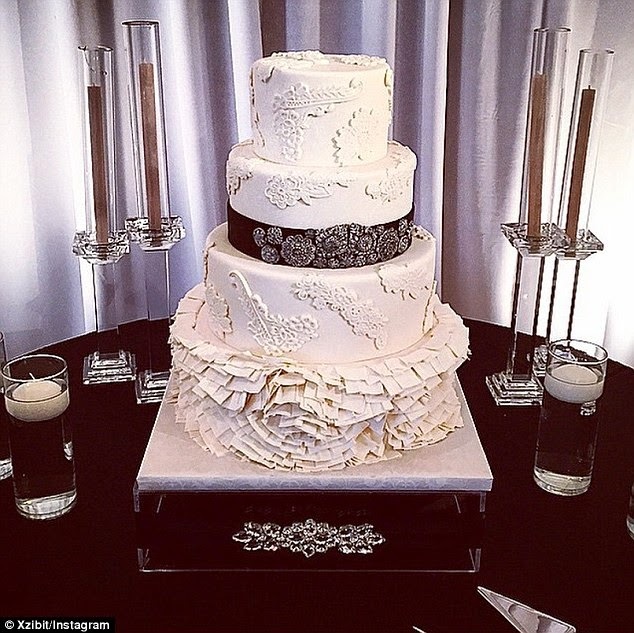 The couple matched their cake perfectly to the brunette's wedding dress. The rapper meanwhile wore a classic black Louis Vuitton suit with a streamline bowtie. 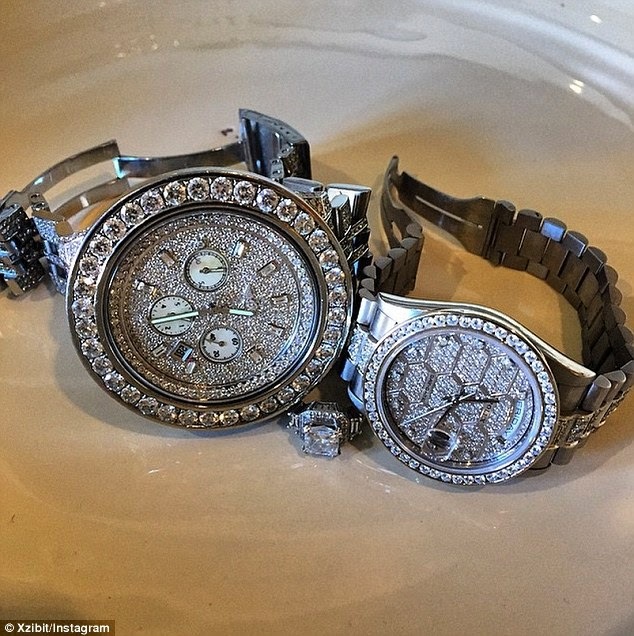 While most couple's exchange rings, the pair added some serious bling by getting matching his and hers diamond encrusted Rolexs. 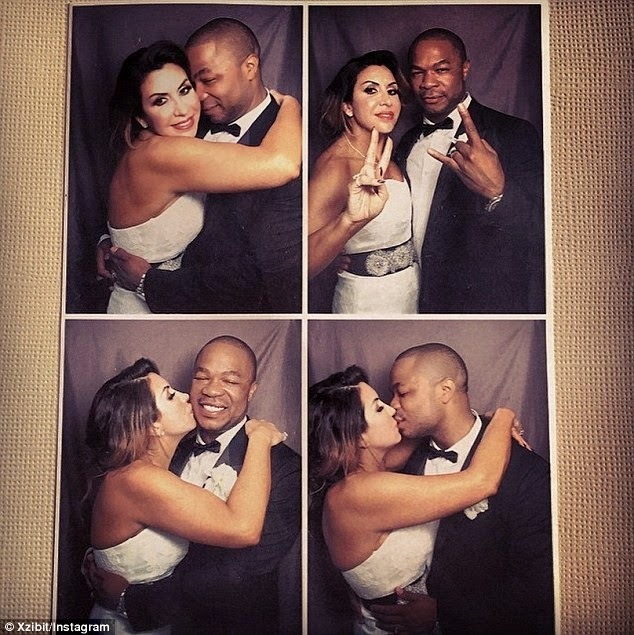 Because of his career, Xzibit may seem like he is a hard man, clearly at heart he is a bit softy. Posting a picture on Instagram of him and his wife in a photobooth at the wedding, he paid tribute to her, his family and his friends and, ironically, said he was thankful there was not negativity surrounding his special day. He confessed he never thought he would walk down the aisle: 'There was a time I thought I would NEVER get married. 'I had to do a LOT of growing up and over time came the maturity I needed to be able to make a commitment stronger than anything that I have done in my life outside of being a father to my two beautiful sons. 'Yesterday, I made my family complete. I had to realize that I am not perfect and I don't always do the right thing, but when I was standing there, watching it all unfold, the only thing I could think about was, I am worthy of being a husband and she deserves the world and the security that comes from being a wife.